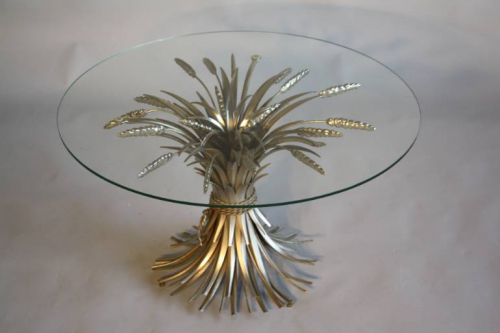 A silver wheat sheaf table which is much more unusual to find than gold finished metal ones. Great elegant detail and glass top. French c1950.